NASSAU Energy consists of a foamed 90F bottom- and topsection. Alle middle sections are supplied as 90E sections with section height of NASSAU Energy675 mm, or in combination with other 90F sections. 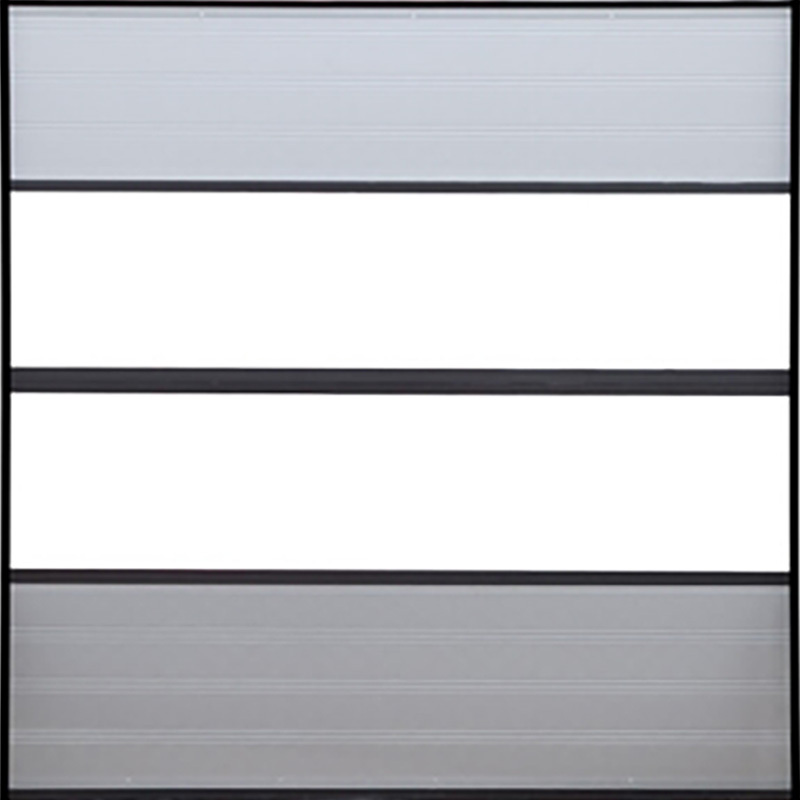 Similar to door our sectional door model 9000M. The foamed sections are supplied in one of our many standard colours or in a special colour that matches the overall colour combination of the building. NASSAU Engery is delivered without integerated pass door, alram door side and overfield. 90E section The section type is a 44 mm aluminum frame constriuction with a 3 layer filling of 4 mm scratch resistant standard acrylic (SAN) outside, 3mm standard acrylic the middle and 3 mm scratch resistant standard acrylic (SAN) outside. The aliminium frame is covered in the construction and is not visable from the outside. Section height is always 675 mm.